Considering the fast paced world we now live in along with the ever-changing nature of technology, the rise in popularity of voice searches was always imminent and it’s up to local businesses to do everything in their power to remain relevant. This means keeping up with modern technological advancements and finding intelligent and creative ways of integrating them into your business’ practices by always updating your SEO strategies. The first and most important step is to familiarize yourself with current SEO trends and learn how to effectively use them to your advantage. Voice searches are an invaluable addition to your local SEO arsenal. Mobile usage rates recently surpassed desktop search rates which means more and more people are using voice searches to find businesses and services that are close to home. Research shows that people do most of their online searching on-the-go (i.e. while driving) using voice searches. It’s fast, convenient, and, most importantly, it’s hands-free. Voice search technology has undergone many improvements since it was originally introduced a few years ago. Before it was more of a nuisance than anything else as the search assistants would often misinterpret or mishear what the user was trying to say. Since that time, voice search accuracy has been greatly improved and even enhanced, allowing users to conduct more in-depth searches and easily find what they’re looking for. But this means businesses need to also change their own social media strategies and reinvent the way they write their landing pages. It’s a given that the way people speak is completely different than the way they write. The written word is often more eloquent and concise, whereas spoken or natural language tends to be more conversational. Businesses need to take measures to adjust the content on their web sites to match this new shift in search inquiries and use keywords that people would actually say out loud. In doing this, you should be able to boost your search traffic to hire levels. The impact of voice search on standard search techniques is manifold. It’s completely altered—and will continue to alter—the way people search for information online, not just products and services. Take, for instance, “near me searches”. Instead of having to specify that you’re looking for a certain product or business near you, it’s now automatically implied based on your current location. Search engines understand the complex implications of what users are searching for in their queries and now have the intelligence to read between the lines. Another example of this is that you can now ask Google a series of questions pertaining to the same subject matter without having to repeat the same keyword over and over again. If you’re searching for a multitude of information about the same subject, you can sequentially ask different questions about that subject using markers such as “it”, “s/he”, and so on. Google will automatically deduce that you’re still asking about the original subject and will find relevant results based on that. There are still a few kinks to be worked out, but the technology is far more accurate than it was a few years ago. Currently, there’s no way of measuring voice search results versus searches that are typed in, but there’s speculation that Google is working on implementing this feature in their Google Analytics settings. This data would be very useful for online marketers to have at their fingertips as it could help them analyze how voice searches are specifically impacting their businesses. There’s no doubt that voice searches are certainly increasing web site traffic, but it helps to know exactly how substantial the impact is. 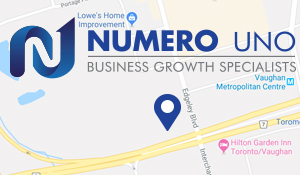 At Numero Uno Web Solutions, we’re committed to helping our clients find the best online marketing strategies to help increase web site traffic and turnover. Our strategies have helped numerous clients in Canada and parts of the U.S convert clicks to meaningful leads. For more information on how we can help increase your web site traffic, please call us at 1-855-SEO-XPRT.